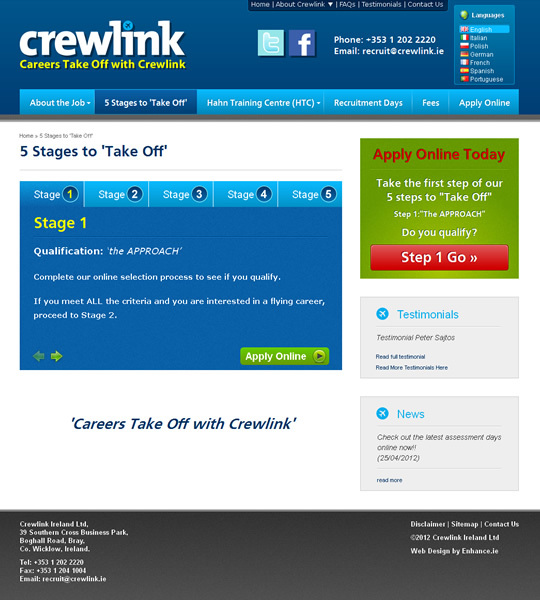 An official training and recruitment partner with Ryanair, Crewlink specialises in Recruiting, Training and Employing Airline Cabin Crew for Europe’s leading low-fares airline. 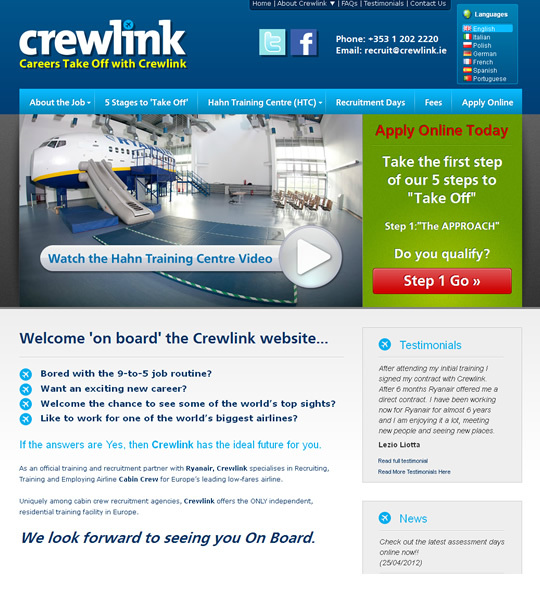 Enhance were selected from a number of web design agencies to redesign and build the Crewlink website to better represent their presence in Aviation Recruitment. Bespoke CMS created to allow easy updating of text in various languages and images across the website. Enhance also created a back end system for managing recruitment sign ups. Enhance are currently running a long term SEO campaign based on gathering and reacting to latest key metrics. Results have proven positive with target keywords out-preforming competitors on Google. Site was built to best practices using standards compliant HTML 5 & CSS.